Secretary General of the ESDM Ministry Ego Syahrial in his speech stated that this activity is one of proof of seriousness and commitment from the Ministry of Energy and Mineral Resources to follow up the recommendations made by the Ministry of Administrative Reform and Bureaucracy Reform (PAN-RB) on the quality of RB implementation in the Ministry of Energy and Mineral Resources. Where one of the objectives is to continue to provide capacity building for assessors in conducting independent assessments. As is known, there is still a gap between the assessment of the implementation of bureaucratic reform conducted by the assessors of the Ministry of Energy and Mineral Resources as compared with the assessment conducted by the evaluation team of the Ministry of PAN-RB. 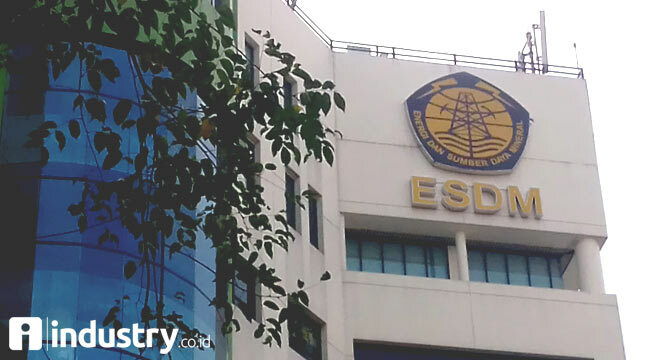 For example, in 2017 the ESDM Ministry's assessor gave a value of 87.60 for the index of RB implementation of the ESDM Ministry, while the evaluation team of the Ministry of PAN-RB gave a value of 75.89. "The existing gap must be insurmountable, so the RB assessment between the Ministry of Energy and the Ministry of PAN-RB is not too far away, as the approaching, the better and consistent we are in implementing bureaucratic reforms." added Ego Syahrial. In the future, according to Ego, the task of assessors is not only to conduct independent assessments. The assessors, especially the Secretaries of the Work Unit, should be able to mobilize the implementation and implementation of bureaucratic reforms to the lowest units. Performance of the Ministry of Energy and Mineral Resources such as licensing services, governance improvements, and other remedial efforts should also be reformed to all employees as a form of implementing RB. Meanwhile, the Assistant Deputy of Complaints Management of the Apparatus and Society, who is also in charge of the Evaluation Team of the Ministry of PAN-RB Agus Uji, explained that the assessor's performance has improved compared to previous years. "It would be better if the assessors not only do the assessment on paper, but are able to make field observations and ensure (the implementation of RB) .This stage leads to the assessment gap.The pre-evaluation stage can also be done to minimize the gap," added Agus Uji . AgusUji also explained that in general there are some notes related to the implementation of RB in several K / L, such as: (1) Roadmap has not been accompanied by the action plan; (2) The assessment of PMPRB has not been done yet optimally; (3) The change agent has not been able to make a real contribution; (4) Socialization of RB has not been conducted yet but internalization has not been conducted; (5) Not yet thoroughly overlapping regulatory arrangements; (6) Monitoring policy is also not optimal; and (7) There is no innovation Public service in the service unit. "This should be collaborated together so that between the K / L assessors and the evaluation team have a common perception that the RB rating index in each K / L can rise significantly," explained Agus Uji. As a follow up of this training activity, Ortala Bureau Utoro Bureau Chief will perform the pre-evaluation stage of RB assessment. "In this month we will arrange a pre-evaluation schedule for the entire unit, so as to detail the case-by-case case of RBs occurring in the units." said Bambang at the same time closing the capacity building training activities for the assessors of RB Ministry of ESDM.